Saxophonist, singer, bandleader, songwriter — and native of nearby Brinkley — Louis Jordan (1908-1975) had more than 50 “Top 10” hits during the 1940s. And he did it all with his small, pre-R&B/rock-style combo, the Tympany Five, through the midst of the big-band era. 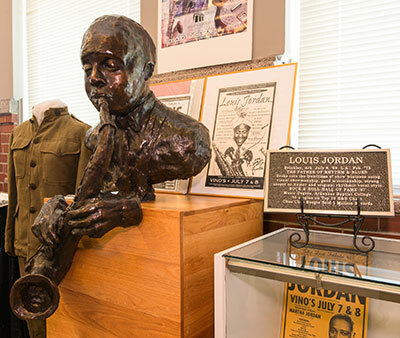 Creating music in a style that served as a bridge between American minstrel shows and hip-hop, Louis Jordan was the son of a musician, Dardanelle-born James Jordan. Young Louis got his start playing in bands with his father and was soon in the traveling minstrel show circuit himself. Jordan studied at Arkansas Baptist College in Little Rock, and later worked as a musician in bustling Hot Springs, as well as in El Dorado, where musicians’ wages skyrocketed during the oil boom. Jordan became a favorite of GIs during World War II — he was nicknamed “the King of the Jukeboxes” for the broad appeal of his songs abroad and back home. He appeared in his own films, on TV, radio and in commercials, endorsed products such as U-Haul, and sold out concerts across the country. He recorded duets with contemporaries Louis Armstrong, Bing Crosby and Ella Fitzgerald, and helped introduce calypso music to North America. As a boy in the mid-1940s, young Brown saw Jordan on film — yes, Jordan was also a pioneer of early music videos and musical films — and was blown away. “His talent was so awesome,” Brown said, “I thought it had to be supernatural.” Noted music writer Leonard Feather said Jordan’s impact in the 1940s was comparable to that of The Beatles in the 1960s. So, it’s no surprise Jordan is considered a major forefather of rock ’n’ roll and R&B — and, with his wordplay and rapid-fire rhymes, even rap music — thus fully deserving of a highway sign. But what is surprising to those who learn of his accomplishments is the degree to which Jordan’s name has been forgotten by the public. 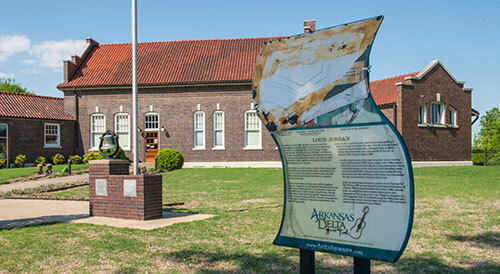 A project like the highway designation helps, said Thomas Jacques, assistant director of the Department of Arkansas Heritage’s Delta Cultural Center in Helena-West Helena. The memorial highway was officially dedicated in July 2018 by the Arkansas Department of Transportation in a ribbon-cutting event, although the signs had actually been up for months. 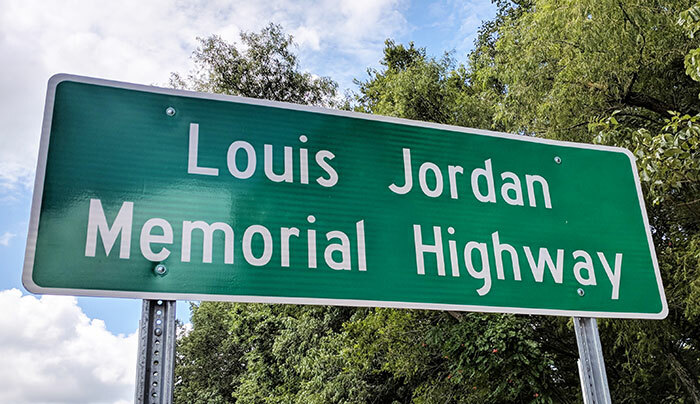 The ceremony was held at the sign located just past U.S. 49’s intersection with Arkansas 238 — the sign nearest Jordan’s hometown. 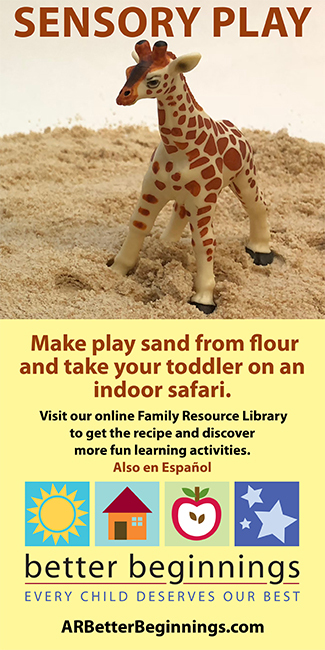 It was all in accordance with House Bill 2179, passed in 2017 by the Arkansas Legislature. Also part of the legislation were highway signs honoring fellow Arkansas musical greats Sister Rosetta Tharpe, Johnny Cash and Levon Helm. 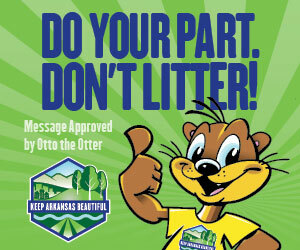 State Rep. Chris Richey of Helena-West Helena sponsored the legislation. At the dedication, Richey noted that July 8, 2018, the previous day, marked what would have been Jordan’s 110th birthday. “It’s a well-deserved recognition of an Arkansan who made a major impact on the development of American music,” Richey said of Jordan. Richey added that there are economic benefits to the state as well as historic benefits to the sign project. Central Delta Depot Museum. Originally a joint train depot connected to the Cotton Belt and Rock Island Line railroads, Brinkley’s Union Station opened in 1912, replacing a train station destroyed in the town’s devastating 1909 tornado. A young Jordan carried passengers’ bags from the station for tips. Passenger service ended for the Cotton Belt in 1959 and for the Rock Island Line in 1967. The station closed altogether with the bankruptcy of the latter in 1980. But poor maintenance had already set in, so by the late 1990s, this onetime example of the importance of Brinkley as a train town was in serious disrepair and had become a local eyesore. “It was in really bad shape, with the roof caving in, and slated to be torn down,” said Michael E. Hibblen, author of Rock Island Line Railroad in Arkansas. Locals intervened, writing letters to rail officials and to then-President Clinton ­— and it worked. The building was deeded to the city, which gave a long-term lease to the Central Delta Historical Society, which operates the museum. “Thankfully, people saw the importance of the station and preserved it,” Hibblen said. “It’s a beautiful building, and we’re really fortunate to have it still around today.” The museum — which relies on admission fees and donations — covers Monroe and surrounding Delta counties. The Central Delta Depot Museum has exhibits on Jordan and the railroads that operated the train station. The museum also serves as the visitors center for the Louisiana Purchase State Park, located some 20 miles away. Bill Sayger of Biscoe has been director of the museum since it opened in May 2003. Between the highway signs and the museum, an Arkansas legend lives on. Or, to paraphrase Jordan’s 1944 No. 1 hit, “Mop! 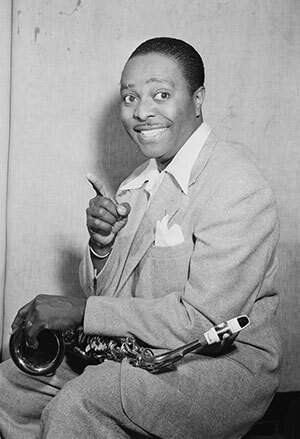 Mop!”: Although Louis Jordan is gone, his jive lives on, and it still is making history. Stephen Koch is author of Louis Jordan: Son of Arkansas, Father of R&B, and hosts “Arkansongs,” a radio segment about Arkansas music syndicated on stations across the state.